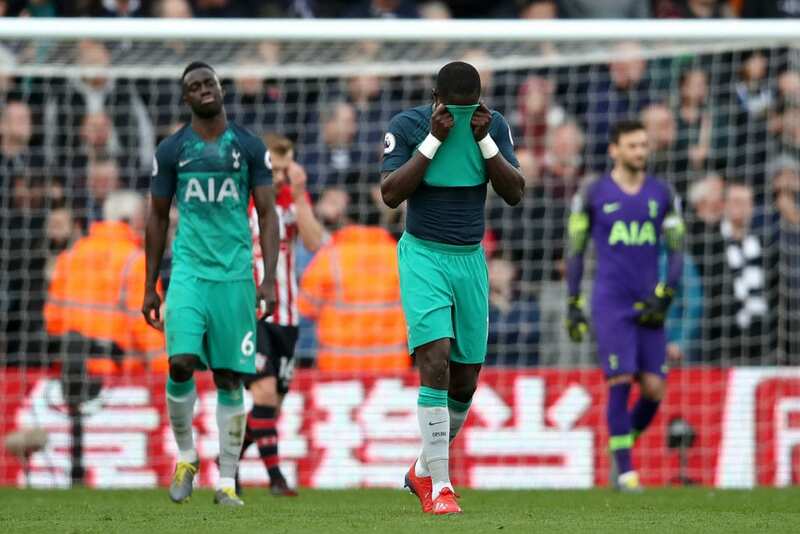 Mauricio Pochettino was left scratching his head as Tottenham fell to a shock 2-1 Premier League defeat to Southampton after a disastrous second half. Harry Kane put Spurs into the lead inside 26 minutes for his 200th career goal in what was a dominant first-half performance at St Mary’s by Pochettino’s men. 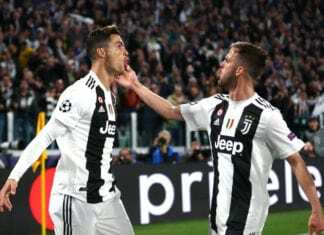 But an unlikely victory suddenly became a reality for Southampton following two late goals in the final five minutes as Spurs’ performance tailled off in the second half. Yan Valery equalised for Southampton after capitalising on Danny Rose’s mistake in the 76th-minute before James Ward-Prowse scored a stunning 25-yard free-kick to hand the hosts all three points. The final result marked Spurs’ third defeat in four Premier League matches and now suddenly leaves them vulnerable in third with Manchester United just three points behind with a game in hand. 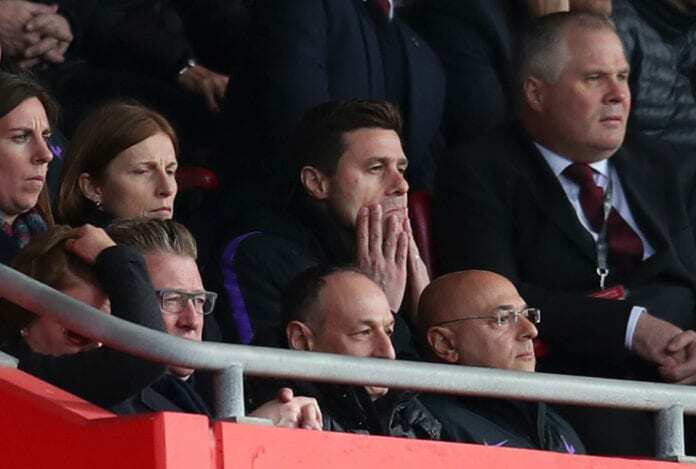 Pochettino, who was made to watch the game in the stands as part of his two-match touchline ban, was left baffled by Spurs’ poor second-half showing and questioned his players’ mentality. “Reaction? Mine is like yours,” said Pochettino, according to SportsMax. “I am so critical with myself and critical with my team. We want to fight for these things. Quarter-final of a Champions League – fantastic. The Spurs boss added: “I’m going to tell what I told before: I am a little bit worried [about] this change. From the first half to the second half, it changed too much. It’s only one reason – it’s mental. I don’t want to blame someone, I want to blame all of us, the club. “We are in a very good position but we’re disappointed in the last few games, but we are still in a position since the beginning of the season. “Maybe we need to understand it’s our limit to be there, but of course, if that’s our limit we need to make some decisions in the future. “If we want to keep our position in the top four, we want to fight in the quarter-final, we need to give more in the future if not we are going to struggle. Next articleQuiz: How much do you know about Eric Cantona?